Denuvo Anti-Tamper DRM was removed. 65-110° horizontal. For higher values see Field of view (FOV) or use this FOV Changer. Appears to be enabled by default, samples unknown, cannot be disabled. 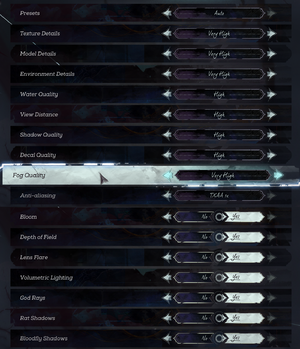 Frame rate is capped at 120 FPS to prevent physics issues. Download Hattiwatti's DLL - works with patch 1.2 (exe v1.75.0.7) and patch 1.3 (exe v1.75.0.12). 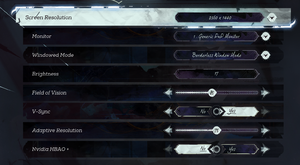 Once you have started the game, use the button at the left top in the Cheat Engine window to open the process selector and choose "Dishonored2.exe". Open the "Memory View" window with the button on the left. Select "Inject DLL" in the menu "Tools", then select the DLL file you unpacked from the ZIP. Confirm "Execute?" with yes. You can close Cheat Engine. Mind that you have to inject the DLL whenever you run the game, if you want the FOV features. In the game, use PageUp and PageDown to change the FOV. You can also press Home to toggle HUD objective locators without having to go through the menus. 101 step slider covering 60x range. 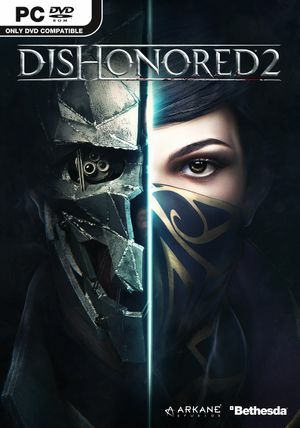 See Helix Mod: Dishonored 2 (DX11). If present change value from 2 to 1 otherwise add r_fullscreen "1" manually at the end of the file and save. ↑ 1.0 1.1 File/folder structure within this directory reflects the path(s) listed for Windows and/or Steam game data (use Wine regedit to access Windows registry paths). Games with Steam Cloud support may store data in ~/.steam/steam/userdata/<user-id>/403640/ in addition to or instead of this directory. The app ID (403640) may differ in some cases. Treat backslashes as forward slashes. See the glossary page for details.